Do you have a family tradition of taking photos of your children on Christmas Day? 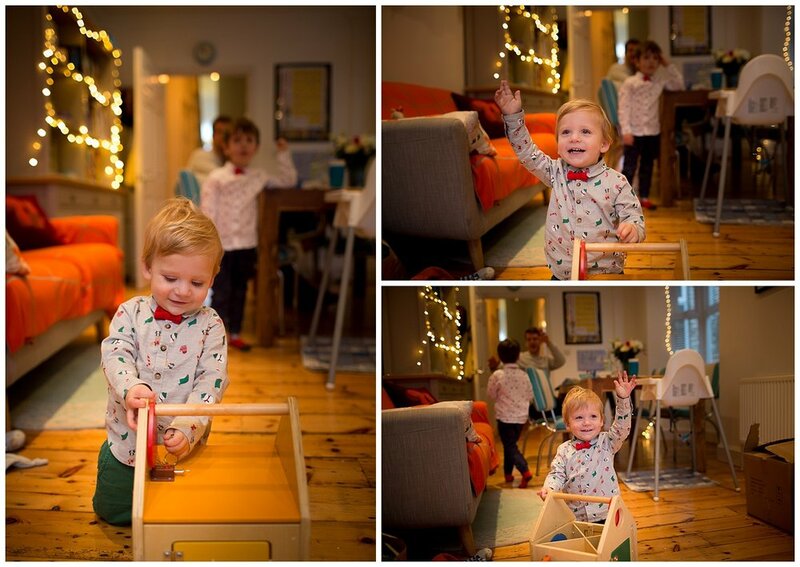 I try to get a photo of my two boys before they start tearing into the presents - I love doing this each year and our festive photos are definitely some of the most treasured photos in our family albums - it’s lovely to be building up a collection of photos to see how much they’ve changed and grown year on year! But the last thing any of us need on Christmas morning is to labour the point, so for me it’s key to act quickly and almost cover it off without them even knowing about it! 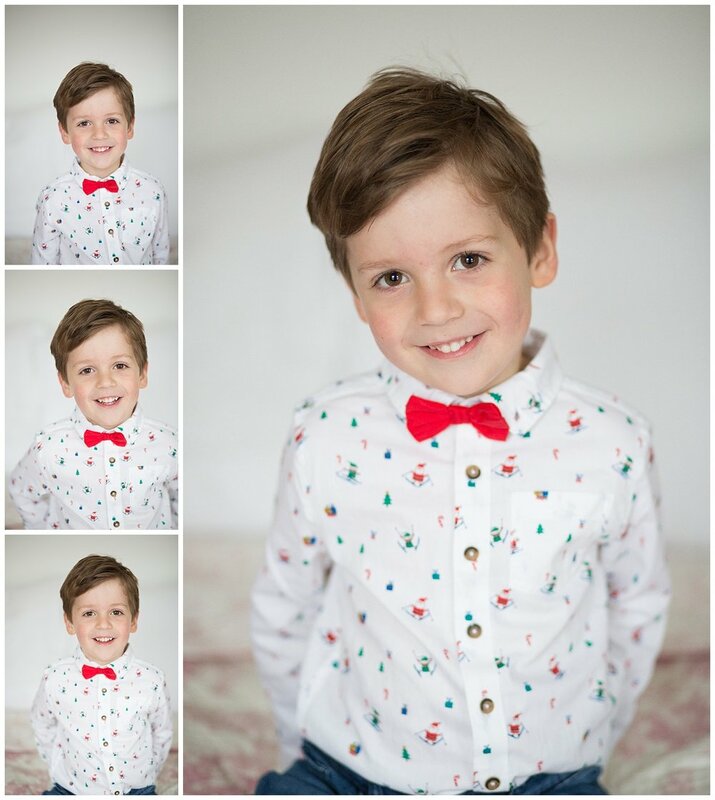 With Christmas just around the corner, I’ve put together my top tips for getting some lovely festive snaps of your little ones for the family album in a pain free and unforced way! Choose the location you’d like the photos to happen in: this could be in front of the tree if the lighting is right, or otherwise in a light, bright space. Amidst the chaos of Christmas I do like to declutter the space I’m using for the photos to keep the photos focussed on the children - if you’re anything like me, I urge you to do the same! Morning definitely works better - everyone is freshly rested, excited for the day ahead and not too wired (that comes later once the choccies come out - well it does in my house anyway!!). Plus, if you spend 5 minutes taking photos in the morning, it’s done and out of the way nice and early and you can enjoy the day. Either before or after breakfast, get your littlies into their Christmas finery and tell them you’ve got a Christmas game for them! Keep it light and fun! My children love anything BUT having their photo taken, so the last thing I’d ever try and do is ask them to smile for my camera. If I want them to smile, I have to work for it and they need to be having a great time, so we might start with a blast of their favourite song and dance our hearts out, and then once they’re into it I’ll bring my camera into it and sneak some snaps while they’re dancing - and who can dance without feeling happy?! For little ones, playing favourite songs with actions work really well too! After dancing, we might play a game of Simon Says, or guess which Christmas song I’m humming, or we’ll shout out our favourite made up food, or the worst smell we’ve ever smelt, or anything that keeps a fun dialogue going. If there’s one thing I know, it’s that the sillier you are, the sillier they will be - laughter is infectious! Set a time limit of 5-10 minutes max and don’t over do it. Less really is more when it comes to photographing your children, especially around Christmas time, and mine have taught me that short bursts work SO much better than labouring the point. So, put some fun music on, let them jump on the bed if that’s what they want to do and see what happens! Once they’ve had enough, wrap it up and try again another day. Try it and let me know how you get on!